What season lasts from September through November? What season lasts from December to February? What season lasts from March to May? What season lasts from June to August? Melons are an example of a _________ season crop. Beets are an example of a _______ season crop. Nectarines are ripe in the D.C. area during what season? Asparagus is ripe in the D.C. area during what season? 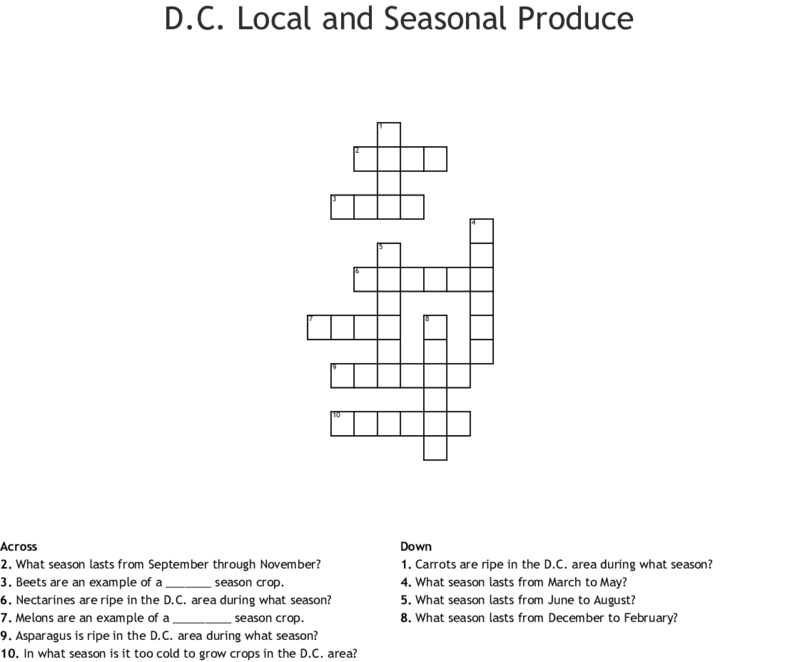 Carrots are ripe in the D.C. area during what season? In what season is it too cold to grow crops in the D.C. area?